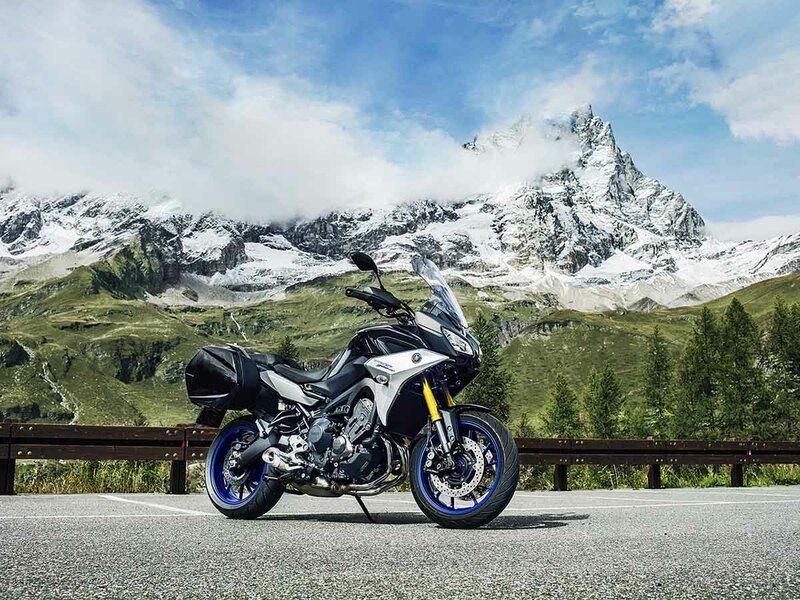 Its class-leading specifications includes a full colour TFT instrument panel, quick shift system for clutchless upshifting, cruise control, genuine hard panniers as standard, fully adjustable suspension and heated grips, the Tracer 900GT is ready to take you anywhere. The high-specification forks come with a gold finish to underline the premium specification of the GT model, and feature separated damping functions - with compression damping in the right fork leg, and rebound damping in the left fork leg. 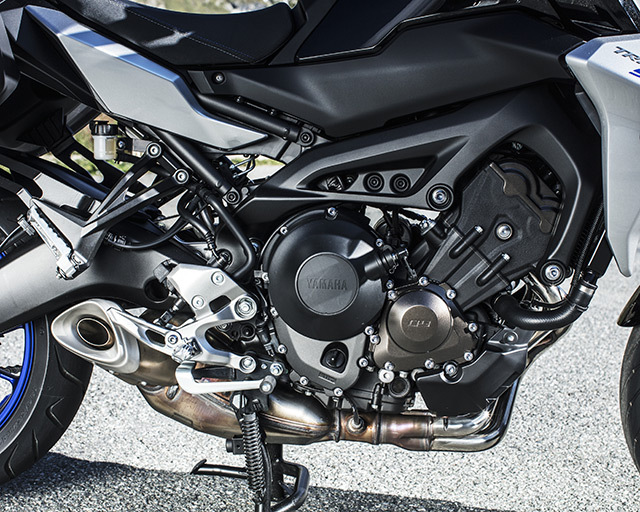 For easy and convenient rear suspension set up there's a remote preload adjuster for the rear shock. The Tracer 900GT's bodywork has been completely redesigned, giving this fully equipped Sport Tourer a more prestigious appearance. The latest GT model features a more refined, high quality body panel design with a new air intake area on the front cowl that enhances the overall looks and feel. 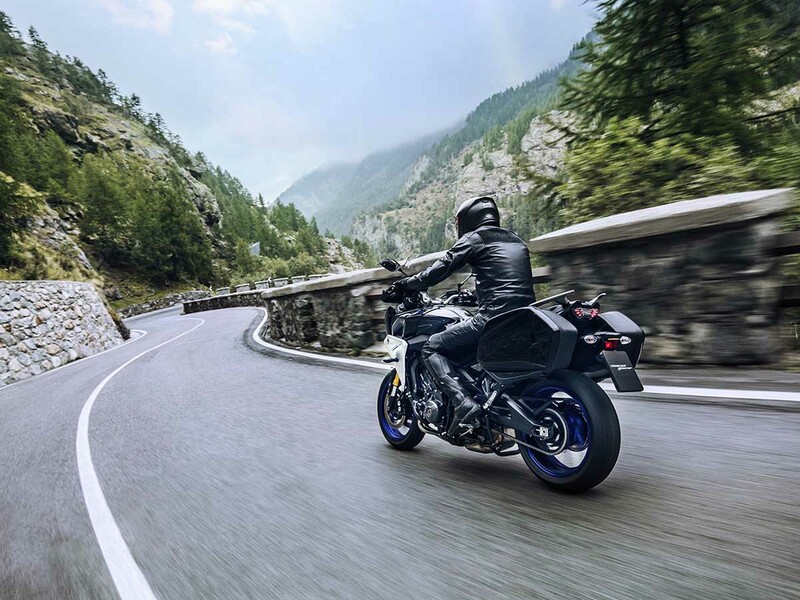 For smoother downshifting when entering a bend, the latest model features an Assist and Slipper (A&S) clutch. By helping to eliminate any sudden shocks to the transmission caused by the downshifting process, the A&S clutch helps to maintain chassis stability and poise to give a higher level of controllability. 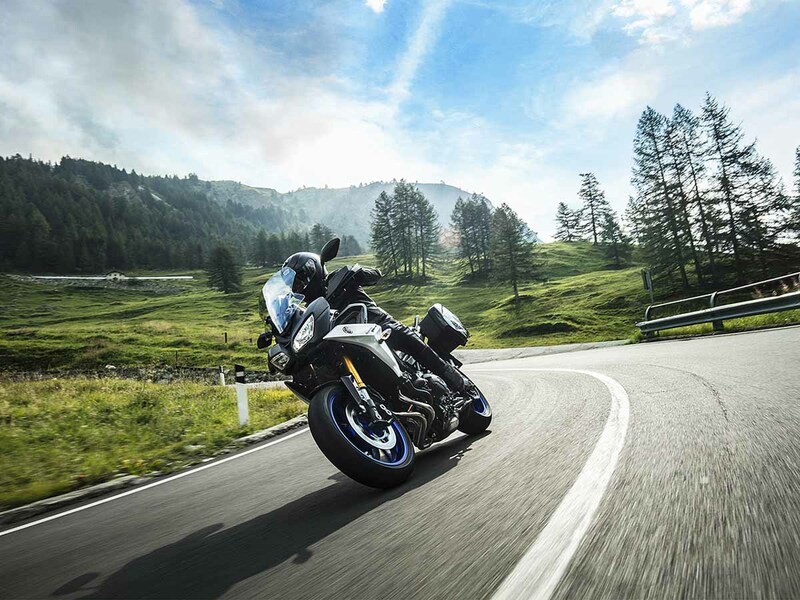 The Tracer 900GT is a premium specification Sport Touring model that comes fitted with quickly detachable genuine hard side cases as standard. 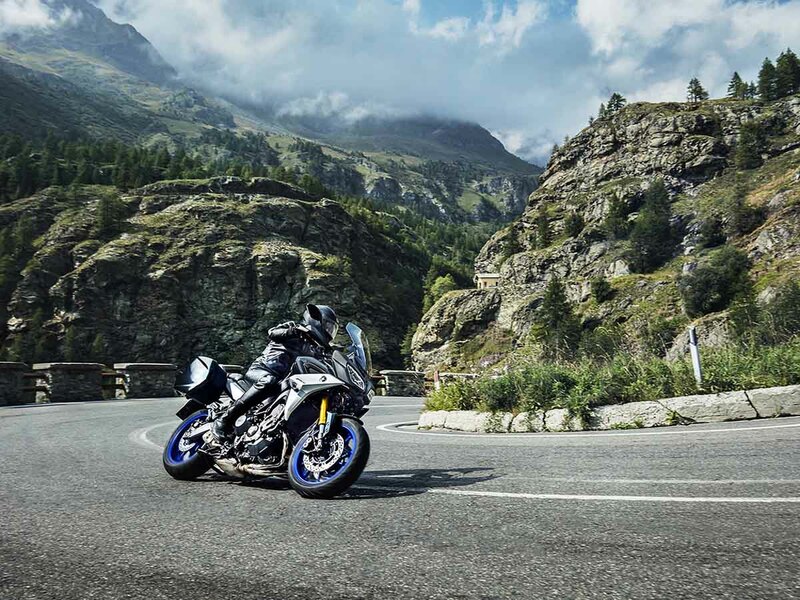 So whenever you want to get up and go at a moment's notice, the Tracer 900GT is ready.